So I didn’t even make it to the end of January before failing to keep up my resolutions of more of everything. I’ve missed two weeks of Sunday Sevens already this year. At the end of the first week, I didn’t seem to have nearly enough photos to justify a blog post, and last week I somehow had other things on my mind. 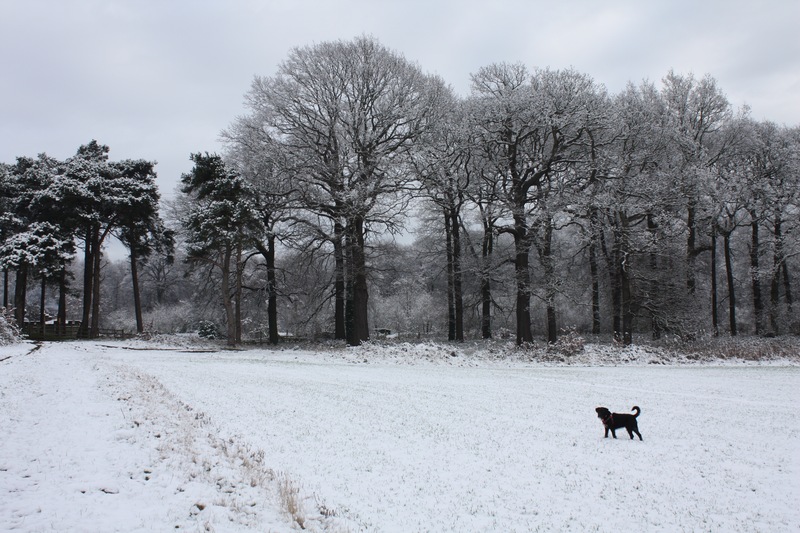 Today’s post will therefore be a roundup of the last 3 weeks, which have involved snow, a birthday, and a traumatic incident relating to Wilf. 1. 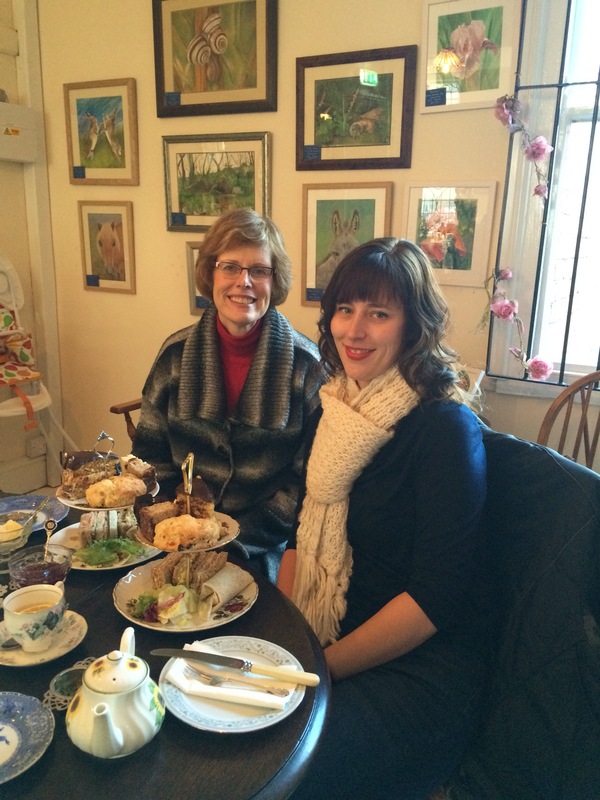 On the weekend before my birthday I went for a lovely afternoon tea with my mum. There were plenty of leftovers which we were able to bring home. 2. It snowed! It came and went quickly but happily it happened on a weekend day so I was able to get out with my camera. 3. I travelled to London and back for a work meeting on my birthday. Despite my hopes of it being a little milder down south, it was completely freezing. 4. 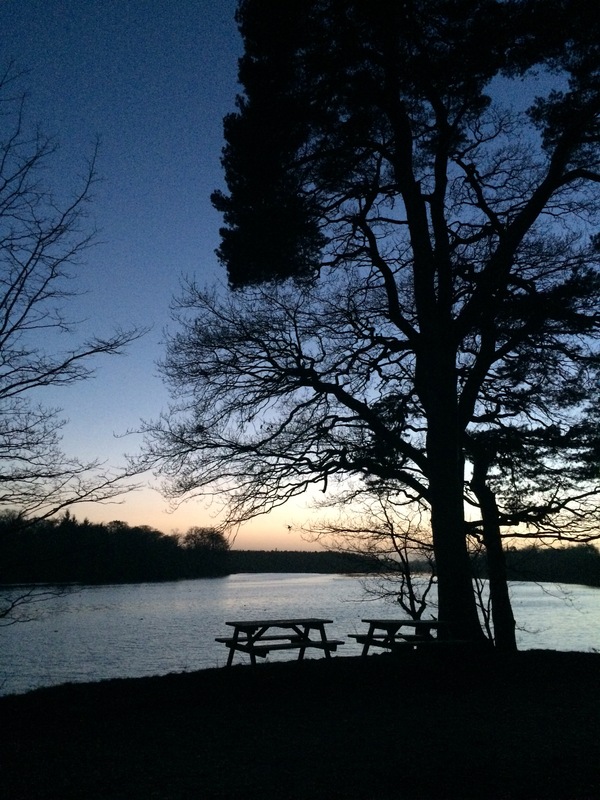 Spring term is always busy but one night I managed to leave early and head up to Clumber Park before sunset. 5. More wintry walks around Worksop. 6. 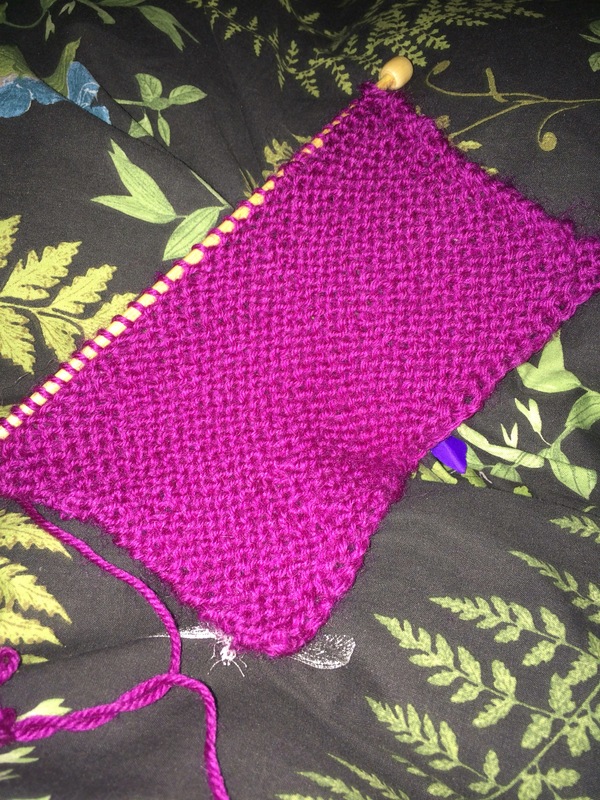 I’m trying my hand at knitting! I’m buying that new magazine that’s out, though so far have only experimented with plain knitting and purling. I’ve pulled out the blanket stitch twice so far as I’m trying to improve my tension. I keep seeing so many beautiful things on blogs, it’s a skill I would really love to learn. 7. I’ve been spurred on by my Fitbit to try and walk a bit more, so am aiming for 15,000+ steps a day. I think I’ve exceeded that each day this week, so to counterbalance it I’ve indulged in some Christmas chocolates. 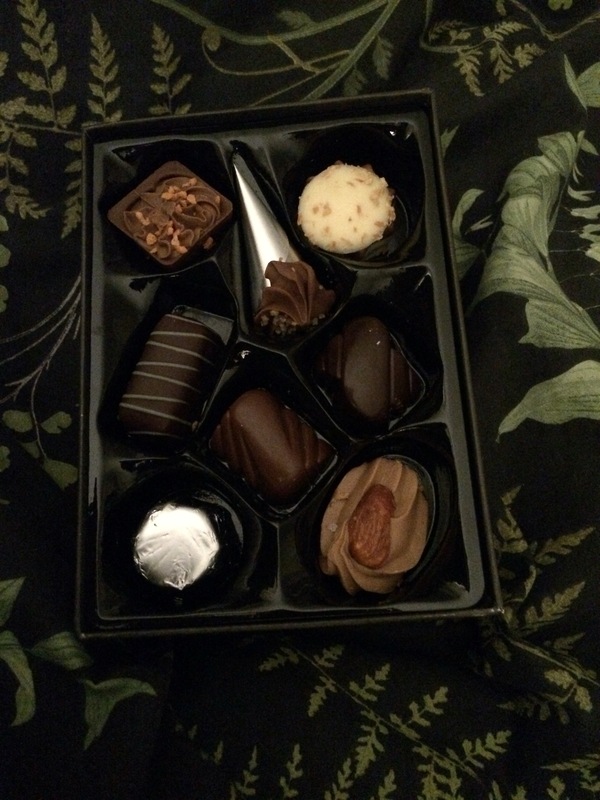 Lindt are my favourites but this box from Tesco was absolutely delicious too. Apologies if you find this last picture a little graphic. Wilfie ran onto the garden one morning and managed to tear his ear on a thorn (I think). 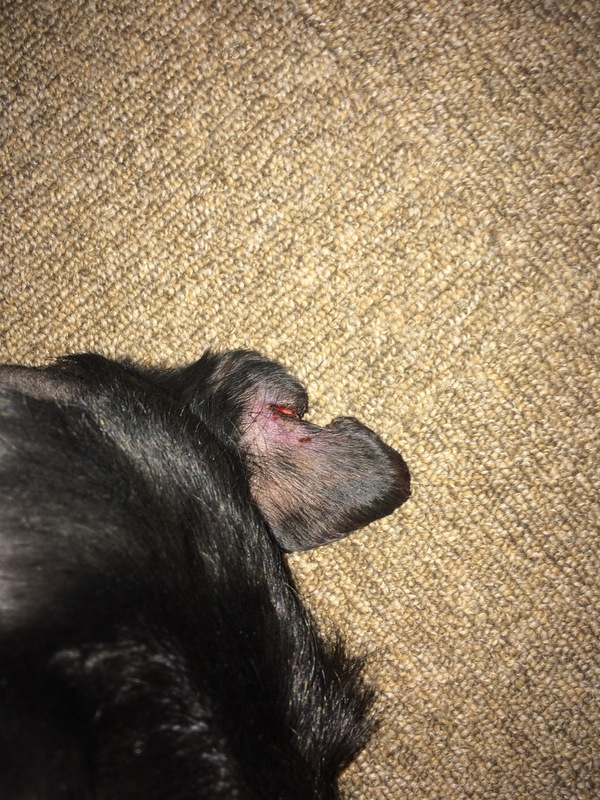 Instead of just stitching it the vet said it was better to cut the torn piece off, leaving a little notch missing from one ear. It’s healing well and fortunately I think it doesn’t detract too much from Wilfie’s good looks and charm. I also snuck in an extra image as the header – a pretty sunrise on the way to work one morning. In other news, yesterday I completed my first sewing make of 2016! It’s very summery so no idea when I will get to take photos of it on, but it feels good to have one project under my belt and to be planning what’s next – something more appropriate for February weather I think ideally! Lastly, an apology. As well as neglecting my own blog I have also missed commenting on lots of other posts this month. I’ll do my best to get back to normal in February. And again, poor Wilfie! 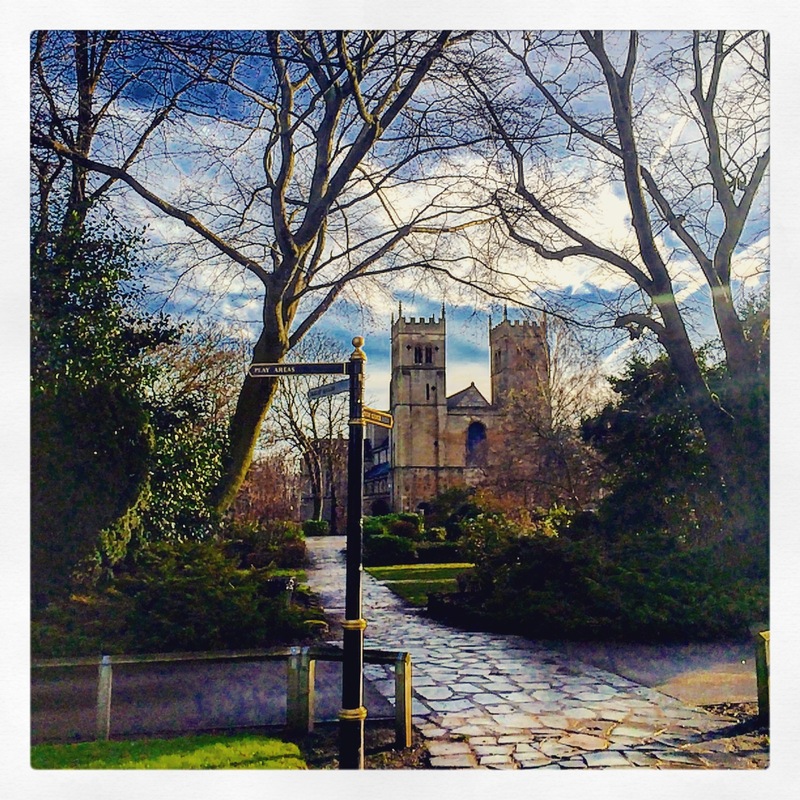 Lovely winter photos! I’m glad the snow didn’t stay for long here either, it looks better in a picture!? I definitely think we got a good deal with the snow this time – a day to take pretty pictures then it was gone, perfect! Wilfie is enjoying all of the sympathy, thank you! Aw, poor little thing! I hope he heals quickly. My 13 year old Yorkie had five teeth out last week and is still feeling a bit sorry for herself. She only has five teeth left now, poor thing, but at least her breath smells better!! 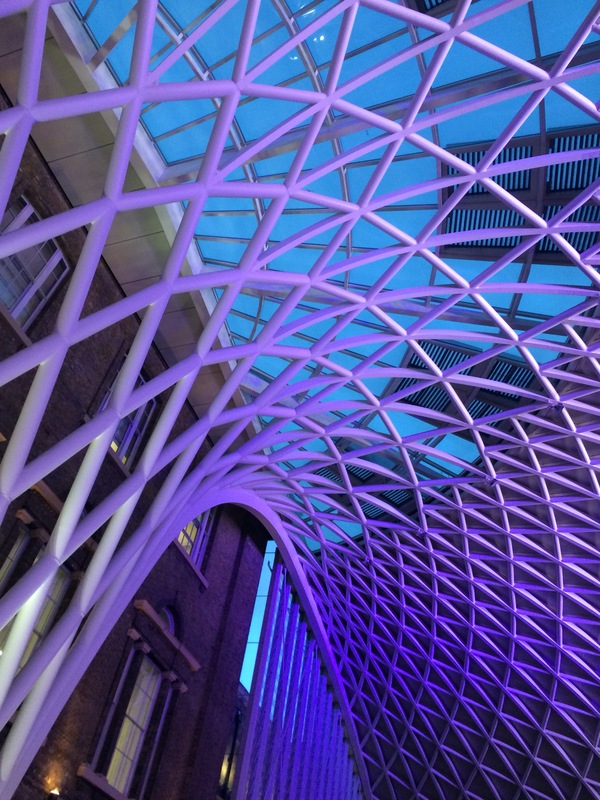 London seems quite a way to go for a meeting – how far is it from Worksop? There’s actually a train from Retford that only takes 90 minutes, which amazes me! I think it’s about 160 miles via the motorway, so yes, not a journey we make often!